Audi engines are built durably and efficiently to carry out the high standards of performance that the brand is so well known for. In order to uphold this standard and keep your Audi performing its best, it’s essential to stay on top of engine maintenance. If you’re uncertain of how to approach maintenance for your Audi, it’s best to begin by looking through your owner’s manual for your specific Audi model. However, you’ll also want to collaborate with an Audi expert to ensure that your own needs, driving habits, and driving conditions are taken into consideration. In this article, we’ll go over the importance of regular engine servicing for your Audi and why it’s so crucial. If you’re new to the process of engine care, don’t panic – we’ll just go through some of the basics, and the rest is up to you and your Audi automotive specialist. It is essential to perform ongoing inspections of these components, and to follow up with any troubling symptoms you encounter in your Audi sooner rather than later to avoid more extensive damage and repair bills. Due to damaged or failing piston rings or cylinders, or intake and exhaust valve failure, which leads to air leaks and loss of compression. Old wiring or worn spark plugs themselves can cause spark plugs to be rendered ineffective. This problem can also be due to ignition timing failures. This could be due to something simple like not enough fuel in the tank, or it could be more complex like buildup in the air filter, therefore clogging the air intake into the engine. Furthermore, the fuel dispersed by the injectors may not be in the appropriate quantity or pressure (engine running rich or lean). Finally, fuel contamination can occur, which causes issues with ignition and combustion of the mixture. It’s not easy to follow through with automotive care; it’s sometimes expensive, time-consuming, and an overall hassle. Here at Revolution Automotive, we try to make automotive maintenance as simple as possible. Engine servicing is a huge part of ongoing care for Audi vehicles especially, as they perform at a higher level than most vehicles on the road. The Audi drivers of Norwood, Westwood, Walpole, Sharon, Canton, Medfield, Needham, Dover, and Boston, MA, have reviewed us exceptionally, and continue to patron our shop for our honesty, expertise in Audi vehicle care, integrity, and consistency. We take pride in our work, and engine servicing is at the heart of preventive care – which is what we do. To learn more about our shop or to get on track with a customized maintenance plan, please feel free to call us directly. 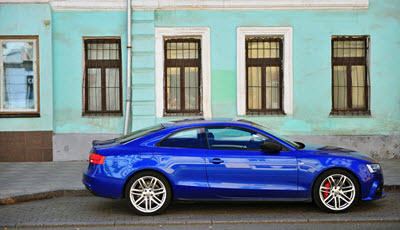 * Blue Audi Car image credit goes to: Krasnevsky.